I just received this notice from Red Frog Events for immediate release. KAUFMAN COUNTY, TX (APRIL 27)- A court hearing will be held Tuesday, April 27, regarding Kaufman County prohibiting Warrior Dash to take place on May 1 and May 2 at Cousins Paintball in Forney, Texas. The hearing is at 9 a.m. at the Kaufman County Courthouse at 100 West Mulberry St. Kaufman, Texas 75142. A temporary restraining order has been submitted to Red Frog Events and their vendors partaking in the event this weekend. Warrior Dash is bringing an estimated $4 million to the local community. Racers from 41 states across the country are coming in for the event. For more information, contact Michael Cramer at (214)536-8406. Warrior Dash is the ultimate event for thrill-seeking athletes. This national racing series is held on the most demanding and unique terrain the U.S. has to offer. Participants will take on intense obstacles and celebrate their feat with music, beer and muddy shorts. 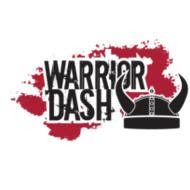 For more information about the event, go to www.warriordash.com.